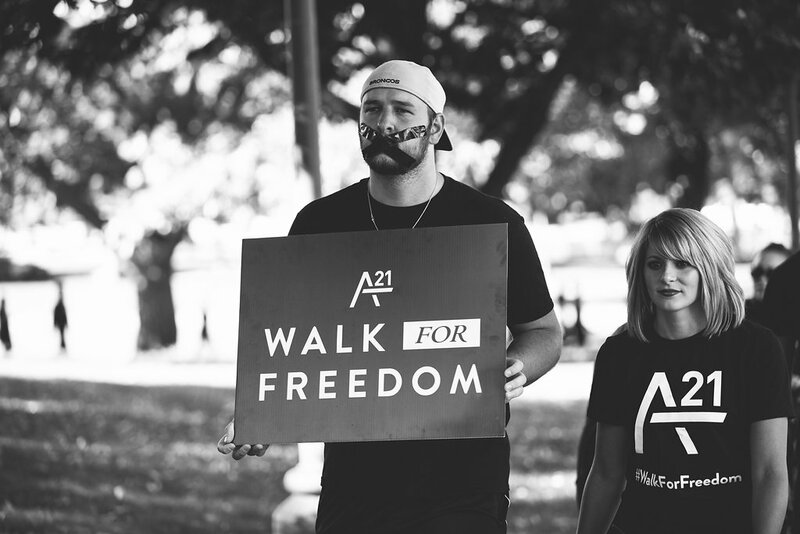 *The A21 Campaign Walk for Freedom is meant to raise awareness and funds in order to fight against the global injustice of modern day slavery. This event happened in October of 2015. 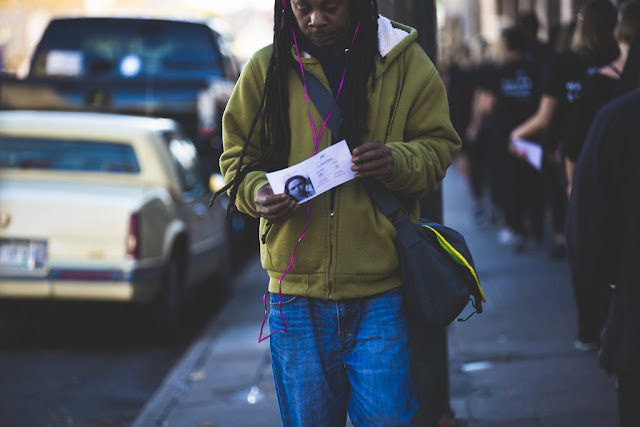 All photos were taken by the insanely talented Brittany Renee Photography. 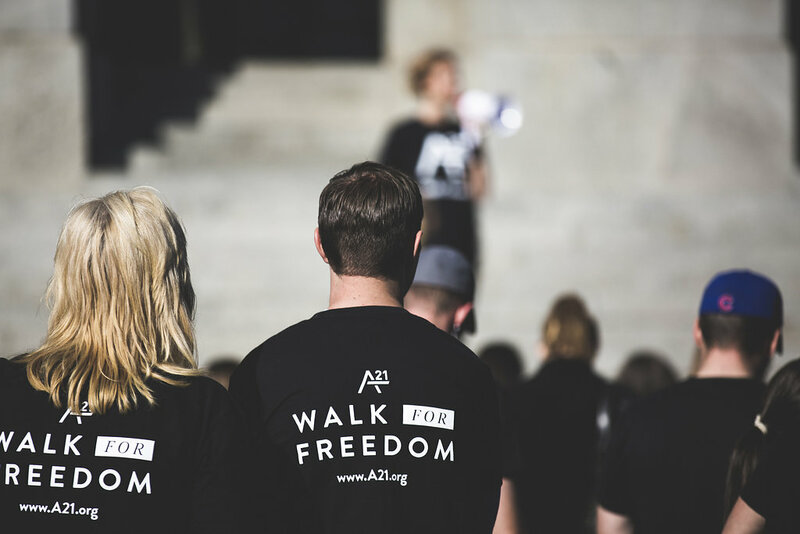 All Walk for Freedom participants gathered on the east side of the Denver capitol building. 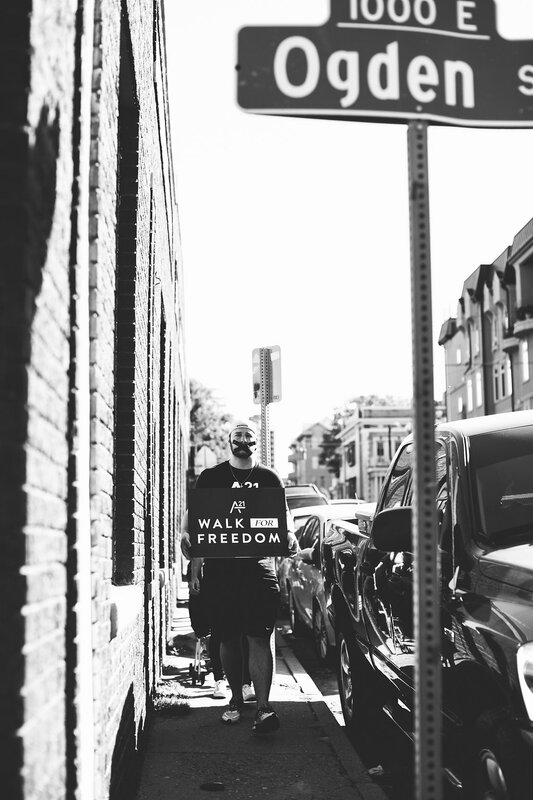 It was an experience in and of itself to meet and connect with the Walk for Freedom participants! 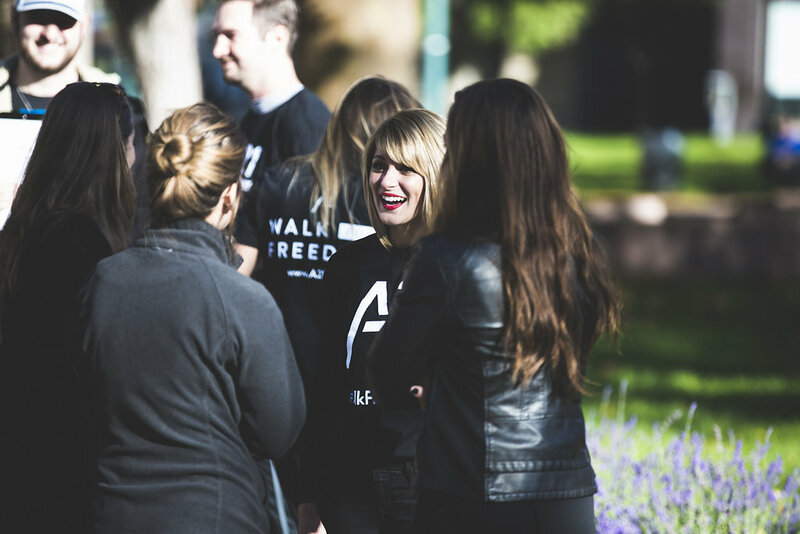 We had many joyful volunteers and leaders at the Walk for Freedom. 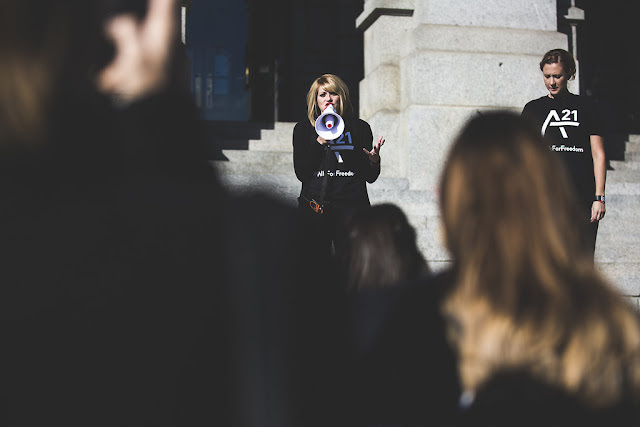 Many are part of our own Denver based anti-human trafficking team called People Against the Trafficking of Humans (PATH Team). 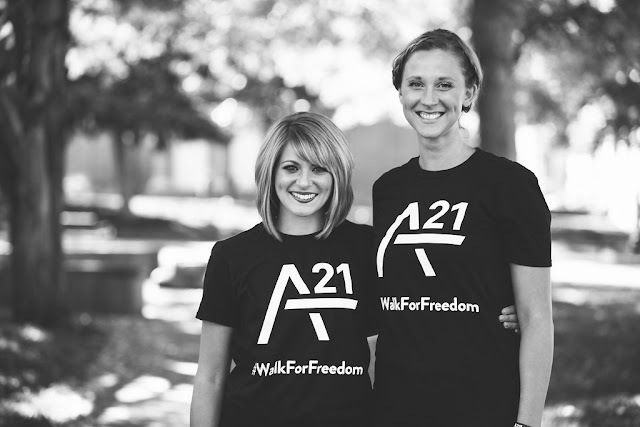 My sister-in-law, Marissa, and I co-founded and lead our PATH Team. We, along with our PATH Team, organized the Walk for Freedom in downtown Denver (October 17th, 2015). 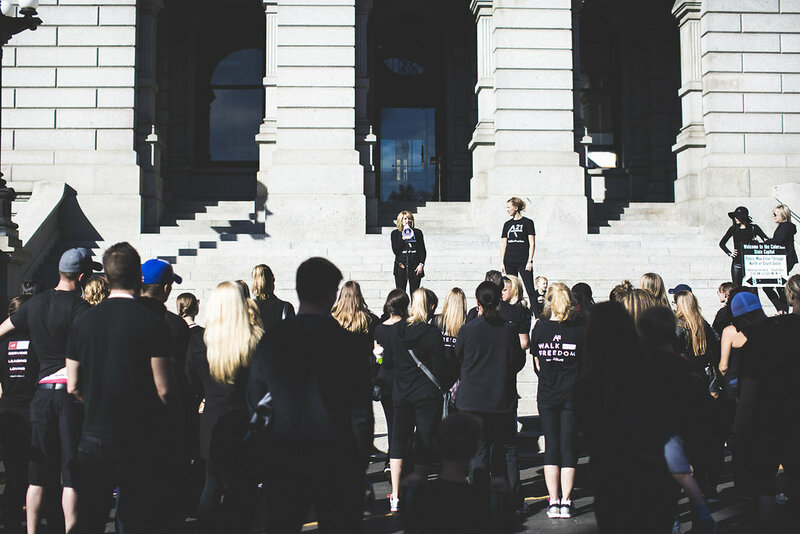 It all began with the question that kept coming up in our everyday conversations: "We want to fight against human trafficking, but what can we DO to really make a difference and get others involved?" 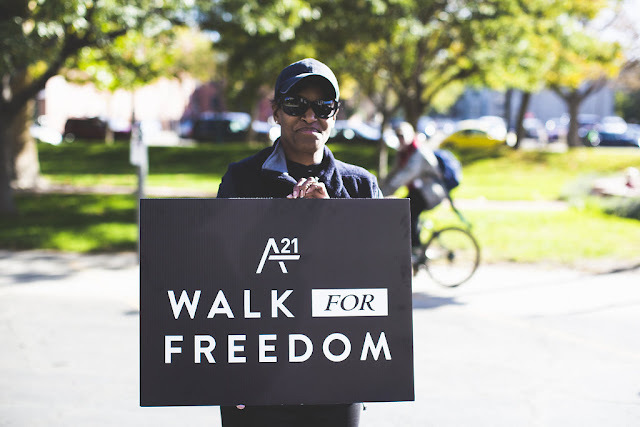 Me, Marissa, and the pastor of our church gave a brief synopsis of the history of the A21 Campaign, the purpose and goal of the Walk for Freedom, and some expectations/guidance for before, during, and after our Walk. Participants were given the opportunity to engage in collective expressions of awareness against human trafficking. 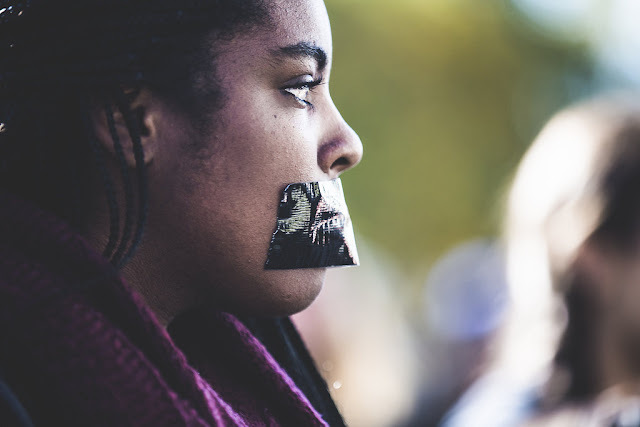 One expression was to put black tape on their mouths. 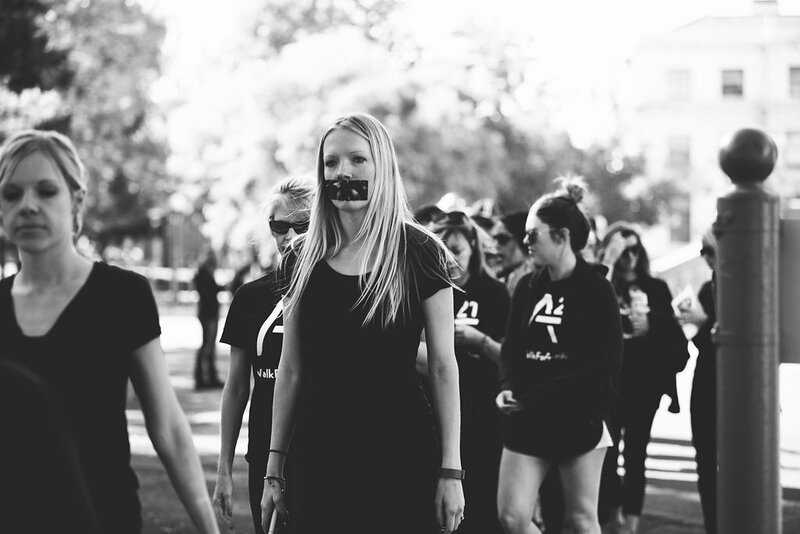 This is symbolic for those who are voiceless - the people who are currently enslaved around the globe. 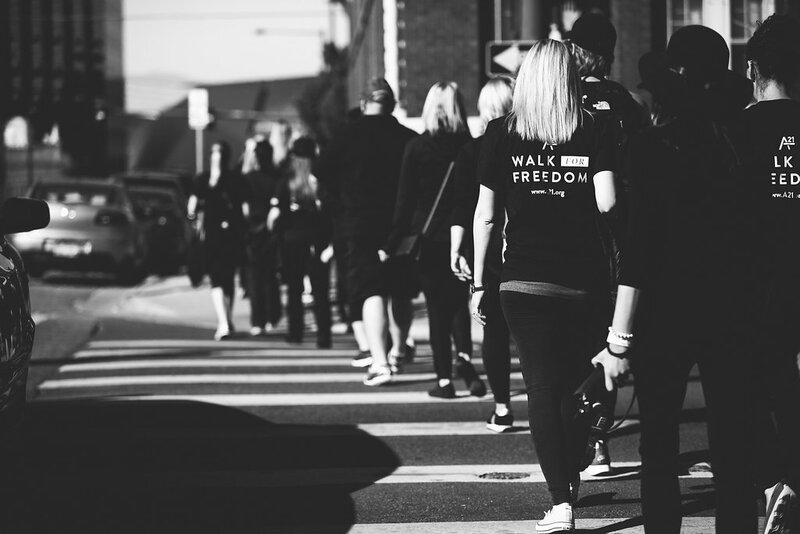 Our goals for the Walk are to raise funds and spread awareness about the global issue of human trafficking. Time to Walk for Freedom in downtown Denver. 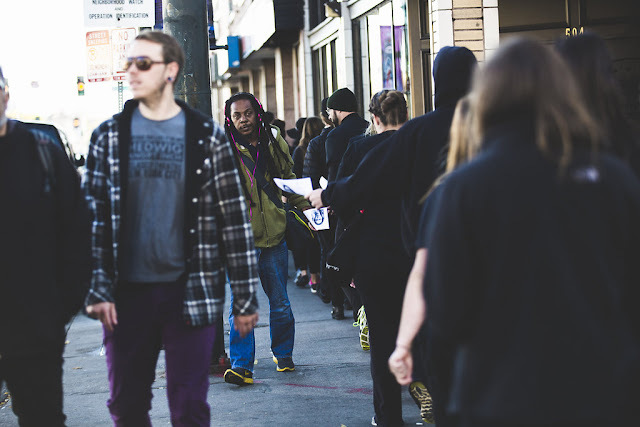 These are the informational flyers we handed out to passers-by during the Walk. 1.) 27 million people are currently enslaved around the globe. 2.) 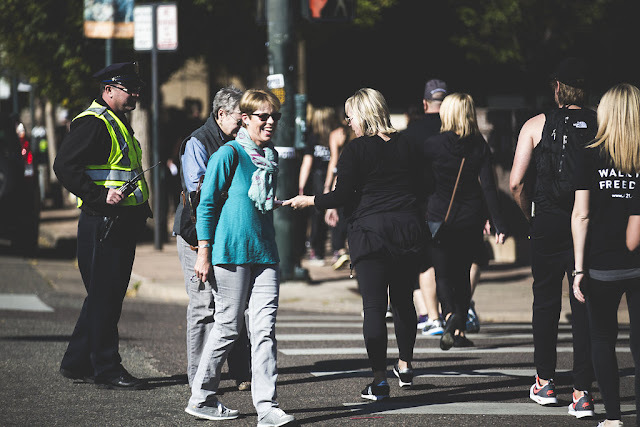 1-2% of victims are ever rescued. 3.) The average age of a victim is 12 years old. We are thankful for the Denver Police Department for ensuring our safety during the Walk. 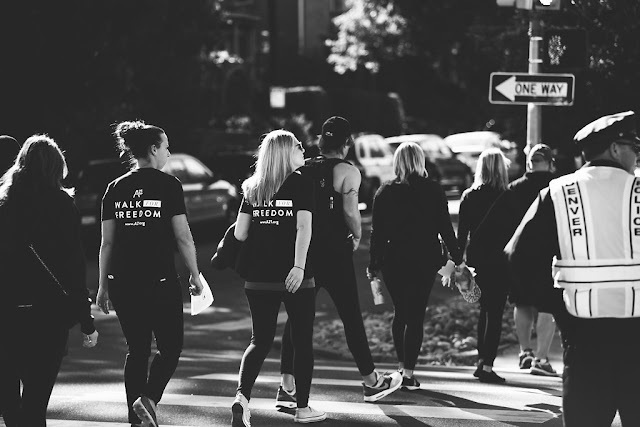 The coolest story of the Walk: One man said to one of our Walk participants who handed him an informational flyer, "Thank you for opening my eyes to an issue I didn't even know existed." 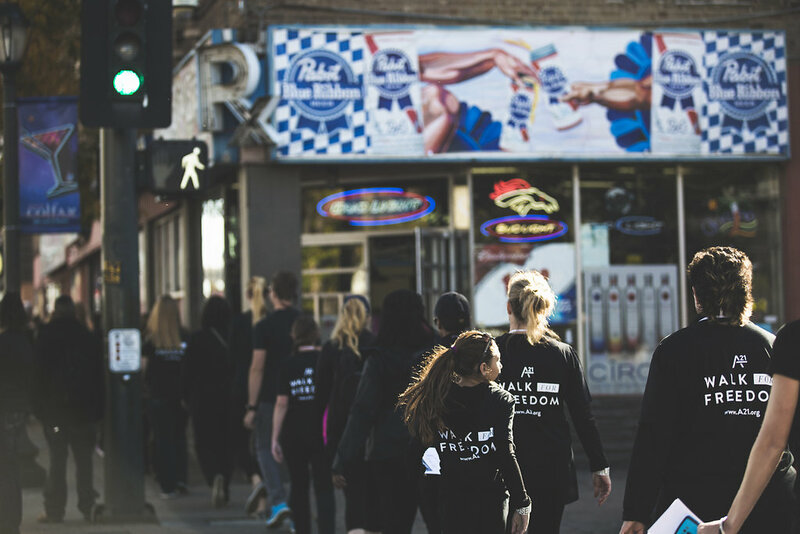 Even if he was the only one we brought awareness to, the goal of our Walk would still be accomplished. 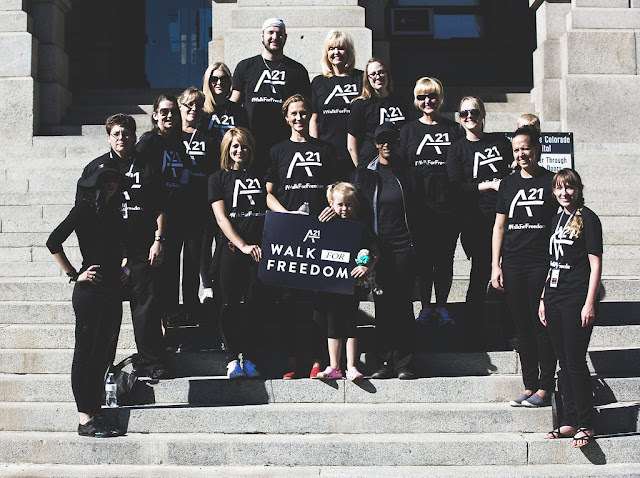 Our Walk for Freedom participants on the steps of the Denver capitol. 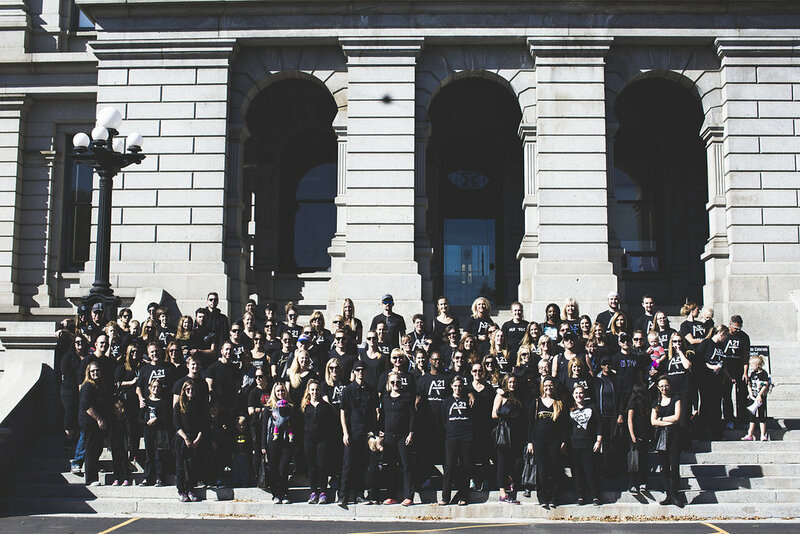 This is our Denver/Aurora based PATH Team. Do you live in Colorado and want to get involved in actively fighting against human trafficking? E-mail me. 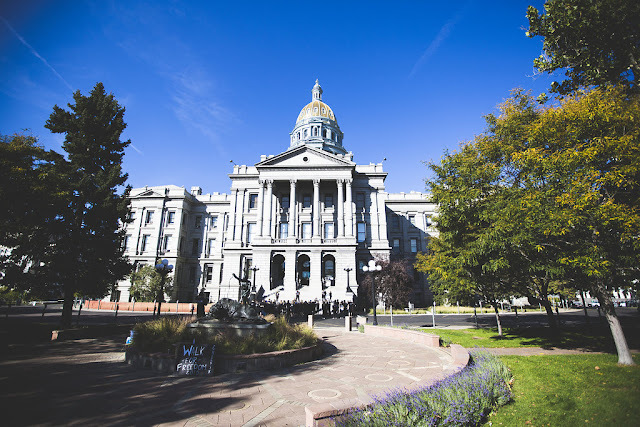 You can find my e-mail address in my Instagram bio (@styleofdenver). 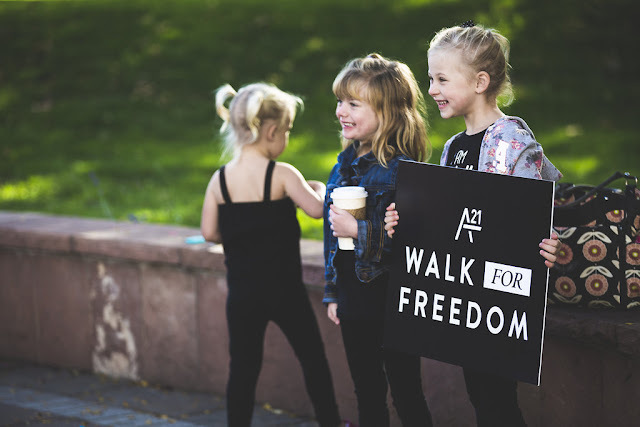 I hope that scrolling through these photos gives you a good idea of what our Walk for Freedom was like and what it was all about. 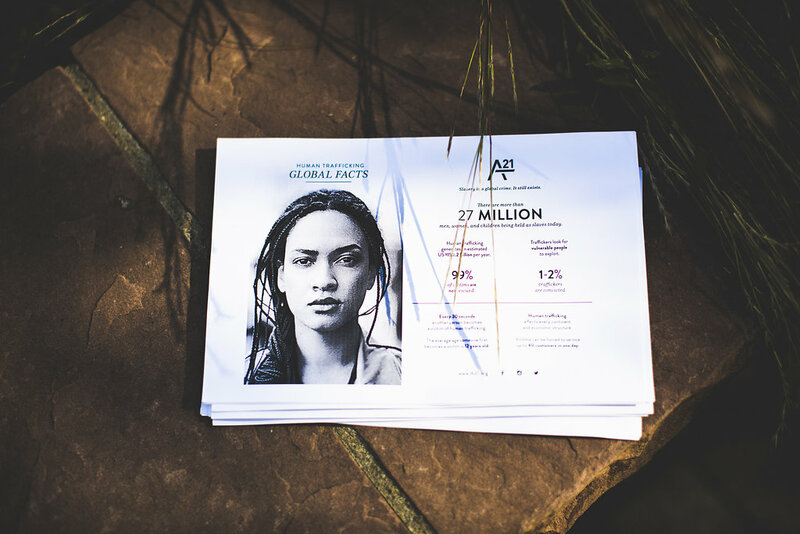 The A21 Campaign was started by Christine Caine, an author, speaker, pastor, and fighter against modern day slavery. The A21 Campaign is one of the largest non-profit anti-human trafficking organizations in the world. The A21 Campaign believes that together, we can end human slavery in the 21st century. 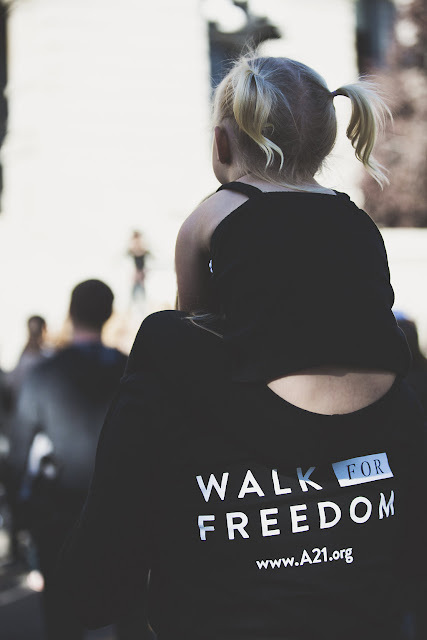 Our ultimate purpose in fighting against human trafficking is to bring freedom to those who are in captivity. 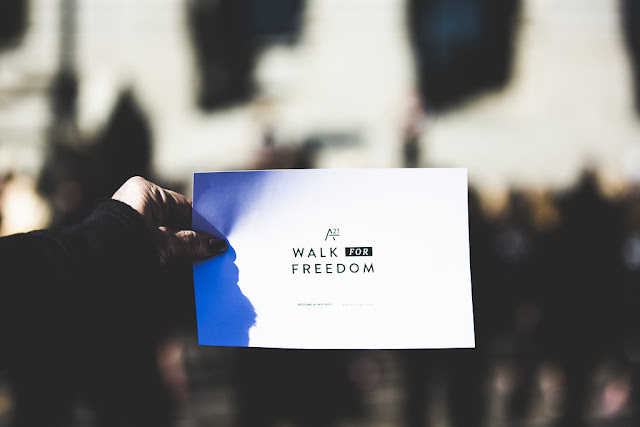 The Walk for Freedom is an annual event because it's meant to cause a ripple effect, meaning that the Walk's message is to echo into every corner of our society. It is meant to be heard by every generation and every culture. Why? Because every single person is inherently and infinitely valuable and we are all equal in God's eyes. 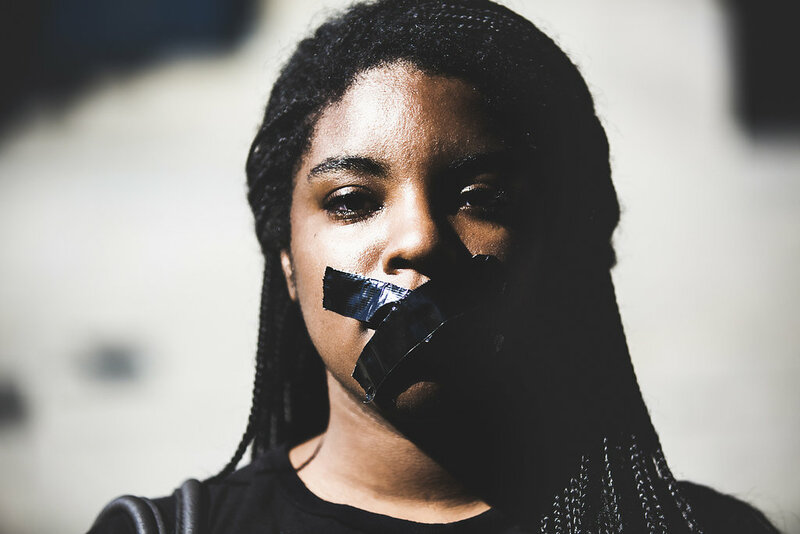 The act of one person controlling and abusing another is NOT okay and it never will be. 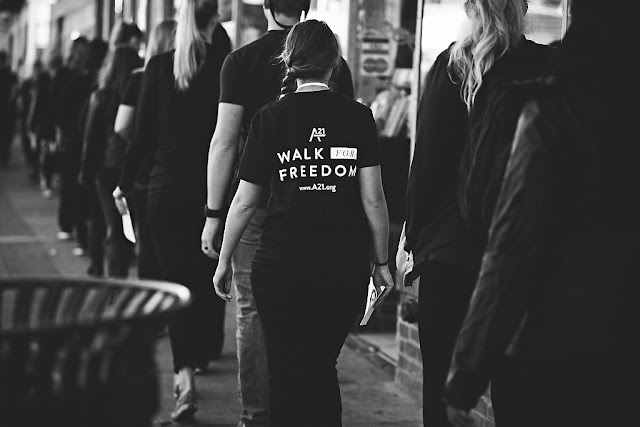 The entire process of planning, executing, and concluding the Walk for Freedom was amazing. However, I'll admit that planning the Walk was pretty stressful, haha. 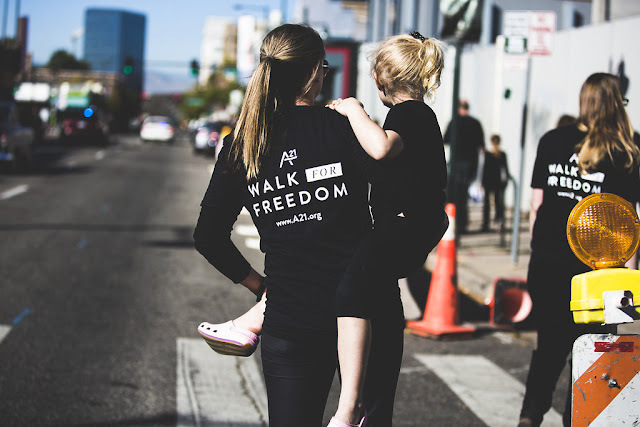 Marissa and I had never planned an event like this and we definitely walked away with a lot of wisdom under our belts for the planning of 2016's Walk for Freedom. 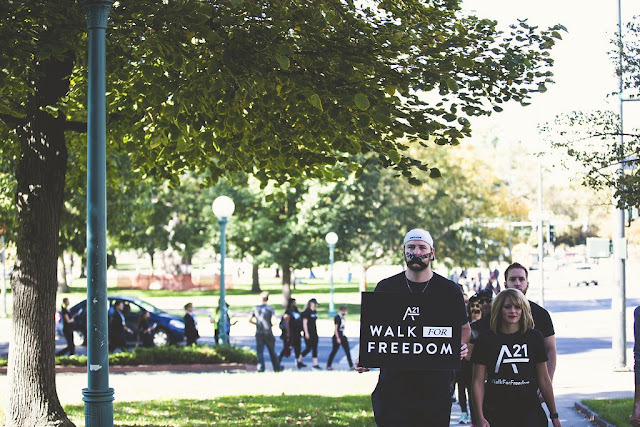 Yes - that's right - there will be a 2016 Walk for Freedom and it's going to be bigger and better! In 2015, people around the globe hosted 200 walks in 28 countries. I can't wait to see what next year holds. I challenge you to change the world a few small (but important) steps at a time. One thing I like to do on my way home from work is give paper bags filled with necessities to homeless people. 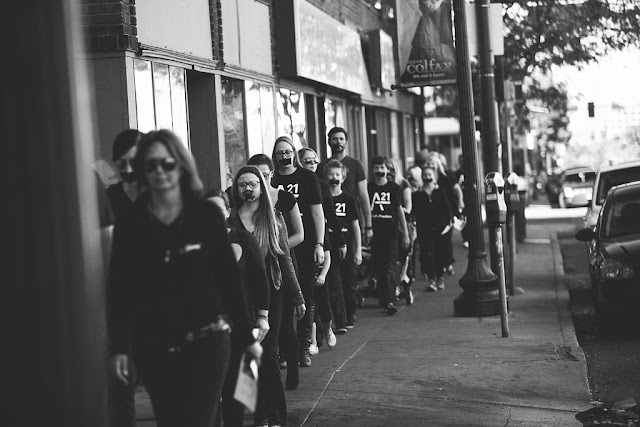 Another bolder idea is to start your own anti-human trafficking team in your area. 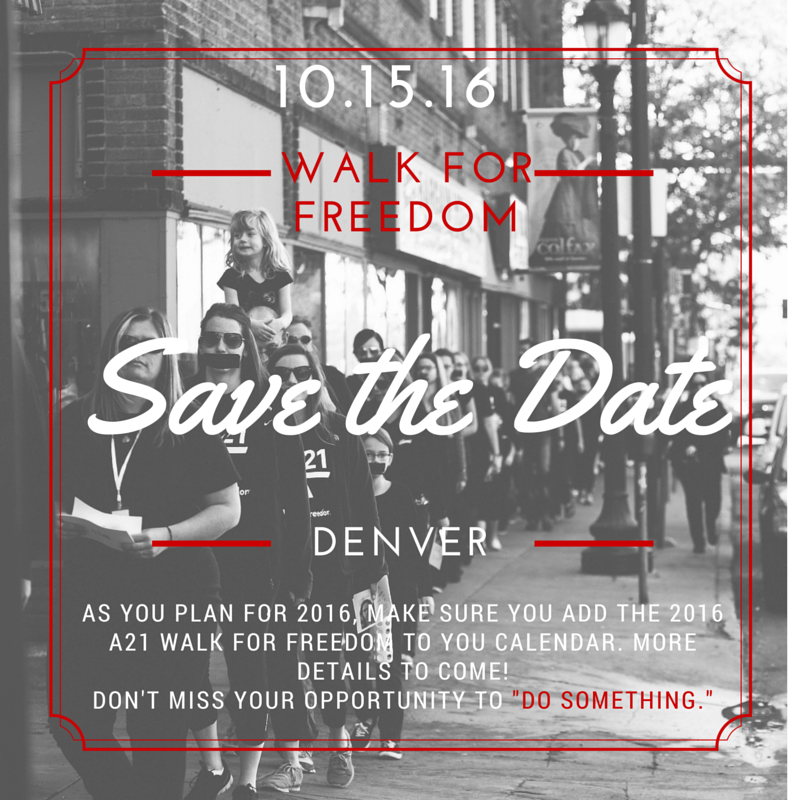 Hey, maybe you can even host this year's Walk for Freedom 2016 with your own anti-human trafficking team! 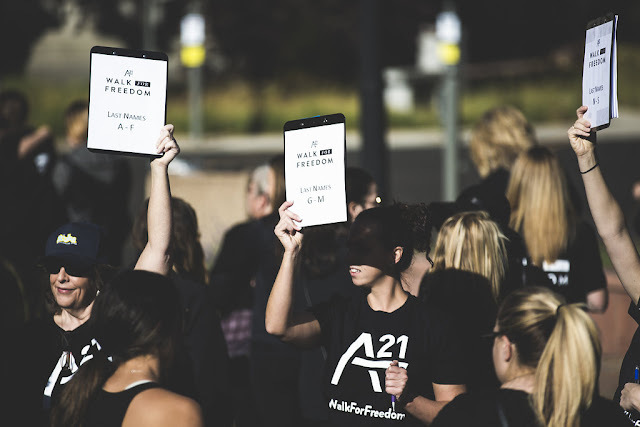 And here are 21 more ways to fight against human trafficking.